The Action for Happiness course is a unique and inspiring 8-week course to explore what matters for a happy and meaningful life. Each session has a theme, based on a ‘big question’, such as: What really matters in life? What actually makes us happy? And: How should we treat others? WEEK 2: What actually makes us happy? We’re told that happiness comes from having more and earning more, but is this really true? Does happiness come from our circumstances or our inner attitudes? And can we learn how to be happier? WEEK 3: Can we find peace of mind? Life can be highly stressful. In this session we’ll explore how to deal effectively with life’s ups and downs and cope with adversity. And we’ll look at some skills t hat can help us be more resilient. WEEK 4: How should we treat others? Our society appears increasingly individualistic and competitive. Is this just human nature or are we naturally altruistic too? How should we behave towards others – and can we learn to be more compassionate? WEEK 5: What makes for great relationships? We’re a social species and most of us know that our connections with others are vitally important. But what really affects our relationships and are there practical things we can do to enhance them? WEEK 6: Can we be happier at work? Work is a huge part of our lives, but many of us find our work to be stressful and frustrating. Do happier organizations get better results? What makes us happy at work? And what can we do about it? 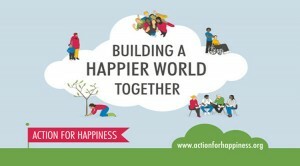 WEEK 7: Can we build happier communities? What does it mean to live well together – and why are some communities or societies much happier than others? In this session we’ll explore how to create communities that are more caring, connected and happy. 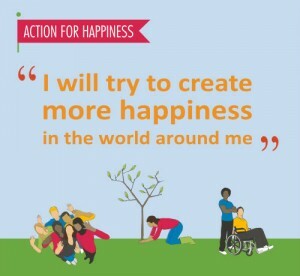 WEEK 8: How can we create a happier world? This session brings together everything we’ve covered during the course. It aims to inspire each of us to live in a way that contributes to a happier world, not just for ourselves but for others too. Book your place on our next course.